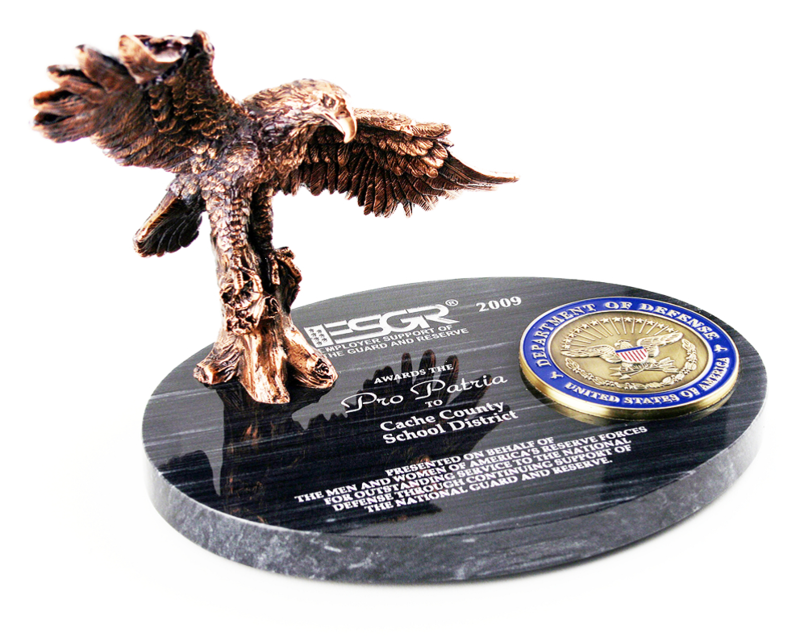 ESGR’s Pro Patria Award is presented annually by each ESGR State Committee to one small, one large, and one public sector employer in their state or territory. Recipients have demonstrated the greatest support to Guard and Reserve employees through their leadership and practices, including adopting personnel policies that make it easier for employees to participate in the National Guard and Reserve. This is the highest level award that may be bestowed by an ESGR State Committee. Employers who have been honored with the Above and Beyond Award, who have had at least one supervisor or other representative honored with a Patriot Award, and who have signed a Statement of Support are eligible for the Pro Patria Award.